Visa (NYSE:V) released its Q1 earnings on January 30, with 13% growth in net revenues, 21% growth in EPS and a 68% operating margin. 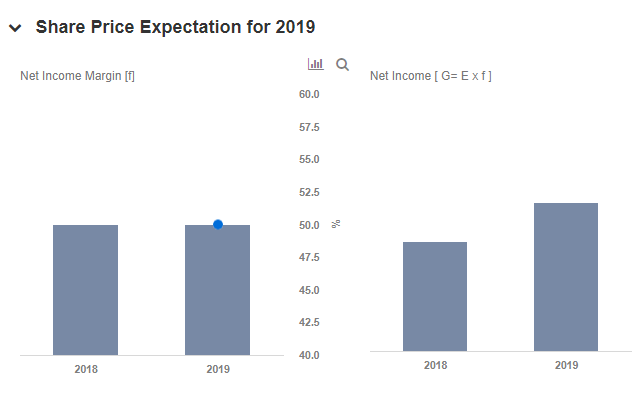 In the previous quarter, the company’s management had guided for low double-digit revenue growth, a single digit reduction in operating expenses and high-teens growth in EPS, and was able to deliver as expected. Below we discuss some takeaways from the earnings release. 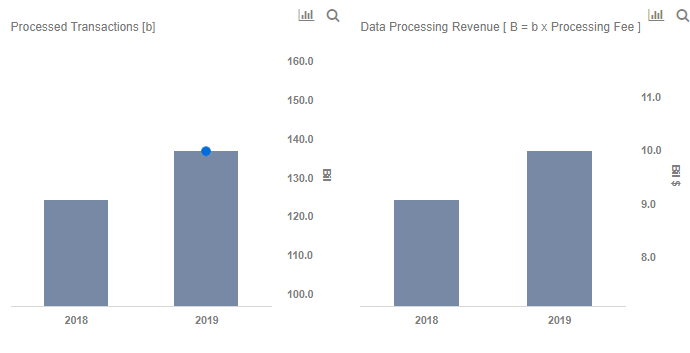 Payments volume and processed transactions are key drivers to Visa’s service and data processing revenue streams, respectively. Payments volume grew by 7% and processed transactions grew by 11% this quarter, compared to 13% and 12% last year, respectively. This could be attributed to negative consumer confidence taking into account uncertainties surrounding the U.S. government shutdown, Brexit and the U.S.-China trade dispute. 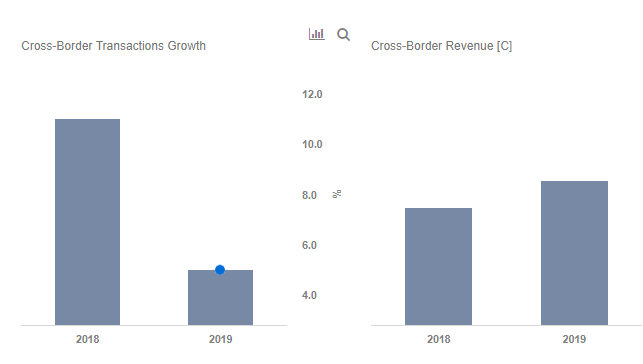 Cross-border transactions saw slowing growing as well, at 3% (on USD nominal basis) and 7% (on USD constant basis), compared to 14% and 9% last year, respectively. The 3% dip (on USD nominal basis) was attributed to cryptocurrency (1 percentage point) and weakness in intra-Europe transactions (2 percentage points). 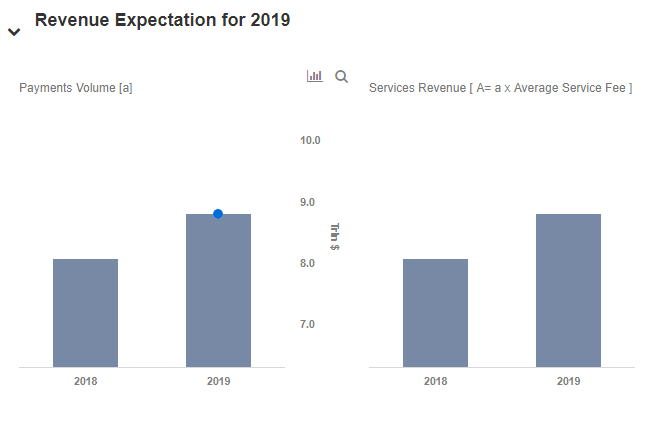 You can use our interactive dashboard on What To Expect From Visa In 2019 to observe the impact of key drivers on Visa’s results and valuation. The company’s management has maintained its outlook for the full year 2019, with single digit net revenue growth in upcoming quarters.